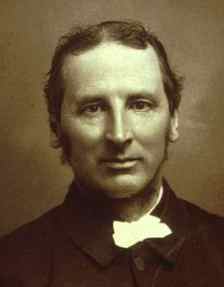 English schoolmaster and theologian, was born on the 20th of December 1838. He was educated at the City of London school and at St John's College, Cambridge, where he took the highest honours in the classical, mathematical and theological triposes, and became fellow of his college. In 1862 he took orders. After holding masterships at King Edward's School, Birmingham, and at Clifton College, he succeeded G. F. Mortimer as headmaster of the City of London school in 1865 at the early age of twenty-six. He was Hulsean lecturer in 1876. He retired in 1889, and devoted himself to literary and theological pursuits. Dr Abbott's liberal inclinations in theology were prominent both in his educational views and in his books. His Shakespearian Grammar (1870) is a permanent contribution to English philology. In 1885 he published a life of Francis Bacon. His theological writings include three anonymously published religious romances - Philochristus (1878), Onesimus (1882), Sitanus (1906). More weighty contributions are the anonymous theological discussion The Kernel and the Husk (1886), Philomythus (1891), his book on Cardinal Newman as an Anglican (1892), and his article The Gospels in the ninth edition of the Encyclopaedia Britannica, embodying a critical view which caused considerable stir in the English theological world; he also wrote St Thomas of Canterbury, his Death and Miracles (1898), Johannine Vocabulary (1905), Johannine Grammar (1906). A nineteenth-century story about a two-dimensional world, inspired by mathematics, particularly geometry.